My childhood insecurities were my earliest cognizance of the implications food has in our culture and our lives. My childhood home’s food supply was ruled by an American-Lebanese health nut (my mother) who only gave us cookies from packages scrawled with the words “oatmeal” and “flaxseed,” and always made sure we had protein for breakfast before going to school, even if that protein came from a can of tuna at 7 a.m.! She took advantage of our Middle Eastern ethnicity (hence the hummus for lunch), using that cuisine’s traditional ingredients like olive oil, cracked wheat, and plain yogurt, and infusing them with some of the American recipes she would find in health magazines. The results, always beautiful homemade meals, and the aroma of freshly cooked ingredients, welcomed us every afternoon coming back home from a long day at school. Please find below an incredible and very touching article ‘The Little Girl with the Hummus Lunch’, By Malak Saddy. THis is truly a fascinating and an inspiring read. ***This article addresses the significance of culture and ethnicity in eating disorders treatment. Food, religion, culture, and traditions are part and parcel of humans’ daily lives. It is perhaps the most unifying aspect of humanity. Past our bodily needs for nourishment, and sustenance, what, where, how, and perhaps with whom we eat, identifies us. Throughout history religious holidays worldwide have been celebrated with different foods and traditions as part of the gatherings and festivities, with each holiday having its soul dish, or dishes, reflecting that culture’s resources and the ethnicity of its people. Yet, for me it took two decades to appreciate being that unique individual. The scene at the elementary cafeteria table was always awkward, cautiously pulling out my piece of pita bread, and tub of hummus from my lunchbox, and explaining it to all the girls sitting around me. I winced at the smell of fresh garlic while they were eating their crust-less peanut butter and jelly sandwiches, and sipping on Hawaiian Punch. I was always trying to avoid their repulsion, and stares, finally swallowing it down as quickly as possible in a private moment of humiliation. I wanted so desperately just to have a simple white bread sandwich in my lunchbox, or at least a cool name for the creamy mush that I brought in, almost every day. Socializing outside of school was similarly loaded. On the rare occasion my parents would let me go to a friend’s birthday party, I quickly learned that the cheese pizza would vanish first and I would almost never get enough. Chuckie Cheese’s pizzas were always layered with loads of pepperoni and ham and as a Muslim, I couldn’t eat it—there’s a dietary prohibition on pork in Islam. I learned later, after experience and a couple of misses, to always leave my game machine no matter how close to winning I was, and be one of the first ones at the table, so I could get first dibs on a slice of cheese pizza. Her nutritional awareness, and cautiousness, stuck with me. Preventing my father’s organs from being ravaged by diabetes was dependent on the foods we ate as a family. As his children, we are also genetically predisposed to diabetes, so nutritional meals and good eating habits were of utmost importance. The positive and negative of that food equation mattered, I realized. I used that realization, but not always in a productive way. My later relationship with food was altered by the culture and media around me. Regardless of the foundation my parents instilled in me as a child, the media was more powerful and had the upper hand. Magazines, television ads, and billboards always displayed the skinniest, most beautiful girls, even if the ad was for dog food! There was no escape. I didn’t know how I could channel my good and bad experiences about food until I decided I wanted to become a dietitian with a focus on eating disorders. Food consumption, restrictions, variety, and resources in a society, all affect that culture. As dietitians, therapists, or clinicians in this field, we must be thoroughly aware of our clients’ religious, and cultural backgrounds, to help build their trust in us, and be able to eventually help themselves through their personal recovery process. In my next part of this series, I will discuss the Hispanic and Asian ethnicities touching on cultural norms, dietary values, and common ingredients and foods used within each group. Religious sensitives of the Muslim, Jewish, Seventh Day Adventist, and Hindu population will also be broken down all in part to better prepare us before meeting with clients who identify to a specific faith or culture. Malak Saddy RDN, LD is a Registered Dietitian at Center for Discovery in Dallas, Texas. 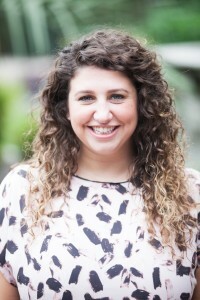 She graduated from Michigan State University in East Lansing, MI with her Bachelor of Science degree and has over six years’ experience in adolescent nutrition counseling, food cultures, and integrative nutrition education. Malak has lectured at multiple national eating disorder conferences, at universities to dietetic students, as well as at local middle and high schools on the effects of eating disorders. She enjoys sharing her enthusiasm with those around her and challenging individuals in incorporating the All Foods Fit Philosophy in their own lives. She is passionate about providing individualized nutritional care and counseling support to clients and their families while being compassionate and empathetic to their needs. As my sixth year in the role of a dietitian comes to a close, I am continually confounded at the under representation of cultural awareness and sensitivity in the treatment and handling of patients with eating disorders. Unfortunately, these significant areas are pretty much overlooked in our field. One of the most common questions I’m often asked is, “How does an eating disorder begin?” Of course, the contributing factors of an eating disorder can be multifaceted and wide-ranging. Causes can be biological (genetic or hormonal imbalance), psychological (depression, anxiety, or low self-esteem) and social/cultural (environmental). This article explores the traditional food habits of different cultures and religious groups and how those customs have been adapted here in the United States. It focuses mainly on the Hispanic American and Asian American populations. It also touches on some of the religious sensitivities and food intake practices of the Jewish, Seventh Day Adventist, Muslim, and Hindu faiths, while also talking about some of the common challenges these populations may face, such as lack of acculturation, longer length of stay in treatment, decreased intake of traditional foods, and both nutritionally and non-nutritionally related health problems. Culture is one of the most defining aspects of a society. It encompasses a complex system of beliefs, customs, dress, art, rituals, values, and even daily behaviors. Through culture, members often relate and identify themselves. Cultural intricacies and standards affect their lives from birth and are passed on to subsequent generations. In regards to eating disorders, it can have a profound effect on how the client sees his/her disorder, and how an individual reacts to treatment. Acquiring a better understanding and appreciation of different cultures and religious practices (essentials) will perhaps aid clinicians in understanding the behaviors, values, traditions, and beliefs of some of the various racial, ethnic, and religious groups they encounter. Cultural competencies, which are defined by having “the ability to understand and respond effectively to the cultural and linguistic needs of patients or clients” (Brannon, 2004), are becoming necessary in educating clients. Gaining insight to these competencies helps ensure effective support and counseling and is accomplished by showing a professional attitude and appropriate communication skills. “Cultural competency is not an optional skill to learn; it is a necessity for all dietitians and healthcare professionals, regardless of their specialty” (Brannon, 2004). It is also important to develop personal cultural competencies: recognizing your own personal cultural biases and preconceived ideas or opinions; learning about and becoming involved with people from diverse cultures; seeking out and increasing your knowledge about other cultures; and learning and developing multicultural communication and counseling skills. One common thread that runs across cultures around the world is food. It is consumed for sustenance of course, but it also can indicate status, education, and position in a society. Food has the power to instigate and strengthen bonds among individuals, communities, and even countries with different traditions and customs. It can be pervasive with effects and connotations in many of the social, economic, and political aspects of a culture. Food related behaviors take on daily routines and in some cultures, specific rituals from cultivating to choosing, preparing, and then consuming the food are part of their mainstream lives. Harvests are celebrated across the world in some fashion or the other and bring joy to the community. Holidays, whether religious or secular, are celebrated with food. Each celebration is associated with different foods and tastes, that in turn are interconnected to the geography of the land, the seasons, and the customs. The Asian culture revolves around respect for authority, especially toward the elderly, who are revered and held in high esteem. Women in most Asian societies are taught to be submissive and obedient. Punctuality and precision in any task or job are of utmost importance. Education is an integral part of the culture and is pursued by the majority of the people. Asian American women who have eating disorders may struggle with assimilating into a westernized culture. In a study comparing college women from China, Korea, and the U.S., Korean women showed the greatest degree of body dissatisfaction and disordered eating behaviors, followed by Chinese women, and lastly, U.S. women. Hispanic families are a close-knit group and they place great value on appearance, reputation, parents, and pride. More than 90 percent of Hispanics are Catholic and religion plays a significant role in their day-to-day life. Researchers at Harvard Medical School researched food behaviors in five generations of Mexican American women and found that second generation women exhibited the highest level of disordered eating behaviors. Due to the stereotype that eating disorders may only affect Caucasian adolescent girls, the diagnosis of an eating disorder in the Hispanic population is often under diagnosed and left undetected. Traditional foods include rice, beans, tortilla, avocado, corn, and tomato based foods and less milk and dairy options. While motivation and hope from clients wanting recovery comes in different forms, faith can have a significant role in their recovery. A patient can seek conventional practices as well as rely on faith and a higher power for guidance. A study conducted in 2003 found that increases in spiritual wellbeing over the course of treatment resulted in healthier attitudes towards eating, improved body image, improvement in psychological symptoms, and less interpersonal conflict. Dietary laws play a significant role in the Orthodox Jewish faith, and keeping kosher can create barriers to clients getting treatment as well as the strong stigma surrounding mental health illnesses. In a study of ultra-orthodox and Syrian Jewish community in Brooklyn, 1 out of 19 girls were diagnosed with an eating disorder, a rate about 50% higher than the general U.S. population (Sacker, 1996). To keep kosher includes three basic rules: avoid any non-kosher animals (shellfish, land animals that do not both chew their cud and have cleft hooves), avoid eating meat and dairy together, and eat only meats slaughtered by Kosher guidelines. Food is in bountiful amounts during Shabbat and Jewish holidays, each holding their own specialty and heritage. Similarly, with the Arab culture, there is a constant pressure for women of marrying age to be thin and free of any mental health issues, therefore creating barriers against receiving treatment and an under-diagnosed population. In the Islamic world, food traditions are often based around the concepts of halal (permitted) and haram(prohibited). Haram foods and drinks are mainly pork, pork products (ham, ribs, pepperoni, bacon, sausage, some gelatin), and alcohol. Halal meats refer to the slaughter of animals according to the Islamic rule; it also includes those animals that are hoofed herbivores. All able bodied and mentally stable adult Muslims are encouraged to fast during the month of Ramadan. It is a time of self-purification and reflection. 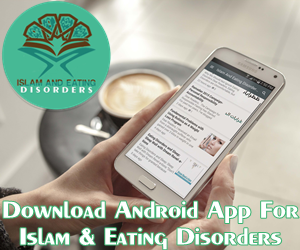 In the case of patients with eating disorders, this can trigger and heighten the condition in clients who are Muslim. A clinician can recommend that the client abstain from other things such as social media or volunteer and help the needy to participate in the holy month. One can also speak to an imam to have this person provide their support in refraining from fasting from food/water especially during their illness. Other religions that have dietary laws include Seventh Day Adventist and Hinduism. Members practicing in the Seventh Day Adventist faith are a member of the Protestant sect and consider Saturday the day of Sabbath. Typically, Adventists are vegetarian or vegan, however, some may eat meat and it must be “clean” (chicken, beef, venison, lamb, and goat). There are eight basic principles for a healthy lifestyle and these include fresh air, sunshine, abstemiousness (self-discipline in abstaining from alcohol, caffeine, sugar, and drugs), rest, exercise, water, nutrition, and trust in Divine Power. Hinduism has over 900 million followers and is the major religion in South Asian countries including Nepal, India, Sri Lanka, Malaysia, and Pakistan. Hindus practice following a strict vegetarian diet forbidding the consumption of eggs as well. Unlike most religions, Hinduism has no single founder or scripture and no commonly agreed set of teachings. Some Hindus practice specific dietary rituals including sprinkling water around their plate for purification, refusing food that is not offered to God first and, therefore, having God’s blessing, and saving five pieces of food to acknowledge the debt owed to the divine forces. Barriers to treatment and lack of support from family all are similar within the cultures and religions. Literacy in English is a highly significant barrier to appropriate health care and education. Education among immigrants is low and many find jobs that are directed towards the auto industry, simple business, and unskilled jobs. This is gradually changing, as children of immigrants are seeking and obtaining higher education and life standards. Lack of transportation within families can impede appropriate health care delivery. Due to low literacy rates and lack of resources, most don’t feel comfortable taking public transportation. Insurance coverage is limited and financial resources can be barriers that also affect preventative health care. Different cultures, religions, and ethnicities are becoming more exposed in the United States, and in order to provide appropriate health care and education, clinicians are learning how to meet their needs. While many immigrants assume exceptions to be made to their cultural norms, many do adopt the American lifestyle including food portion sizes and fast food menus, while still trying to maintain their own cultural food habits. Brannon, C. (2004). “Cultural Competency – Values, traditions, and effective practice.” Today’s Dietitian, 6, 14. Chamorro, R. and Flores-Ortiz, Y. (2000). “Acculturation and disordered eating patterns among Mexican American women.” Int J Eat Disord. 2000 Jul;28(1): 125-9. Pike, KM. and Dunne, PE. (2015) “The rise of eating disorders in Asia: a review.” Journal of Eating Disorders. 17 September 2015; [3:33]. Smith, FT. Hardman RK, Richards PS., Fischer, L. (20030. “Intrinsic religiousness and spiritual well-being as predictors of treatment outcome among women with eating disorders.” Eating Disorders. 2003 Spring 11(1): 15-26.